SmartHalo, a circular device that can be easily installed to provide both an anti-theft alarm and directions while biking, consists of a circular light that attaches to the handlebars of any bike (Image courtesy of SmartHalo). Co-founder of the start-up SmartHalo, Xavier Peich wants to use technology to reinvent the bicycle and help it become the main means of transport in the cities of the future. He spoke at Geothink’s 2017 Summer Institute at McGill University in Montreal, QC. Smart cities may one day enable urban planners to predict where bike lanes and traffic amelioration are needed most. This will partially be due to a new bike-ready navigation system that’s revolutionizing how cyclists find their way around urban areas worldwide. 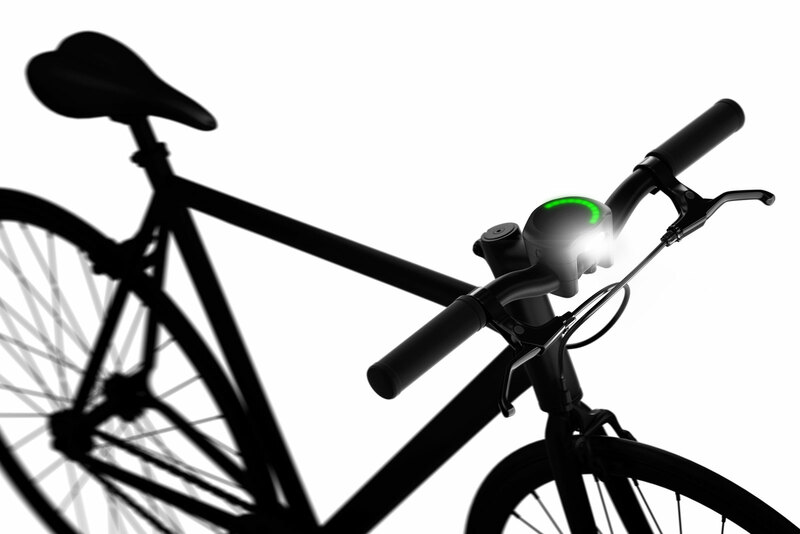 SmartHalo, a circular device that can be easily installed to provide both an anti-theft alarm and directions while biking, consists of a circular light that attaches to the handlebars of any bike. The device’s inventors dream of how to make bikes as convenient as automobiles, and, in the process, reshape urban society. 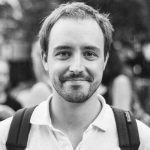 Check out a video of SmartHalo Co-Founder Xavier Peich talking about SmartHalo at the 2017 Geothink Summer Institute in the first half of this video also featuring Local Logic Co-Founder Vincent-Charles Hodder. The circular light on SmartHalo intuitively directs bikers as to what direction they should turn at an intersection by lighting up on that part of the circle, Peich said. He added that this device essentially puts biking around cities on par with cars in terms of safety (from theft) and convenience (in terms of navigation). Peich and many cycling advocates note biking has the additional benefits of saving you time on parking and improving your health. SmartHalo can also help direct bikers on accessible cyclist paths and safer routes. The potential uses for data from a device like SmartHalo are seemingly endless. Bikers using SmartHalo can help map parts of urban areas where smartphone carrying pedestrians and automobiles do not frequently go—yet cyclists may have occasion to do so. For example, more suburban and rural places may make ideal routes for cyclists on vacation or trying to get out of town but can often be dominated by traffic on a few main streets or nearby highways. 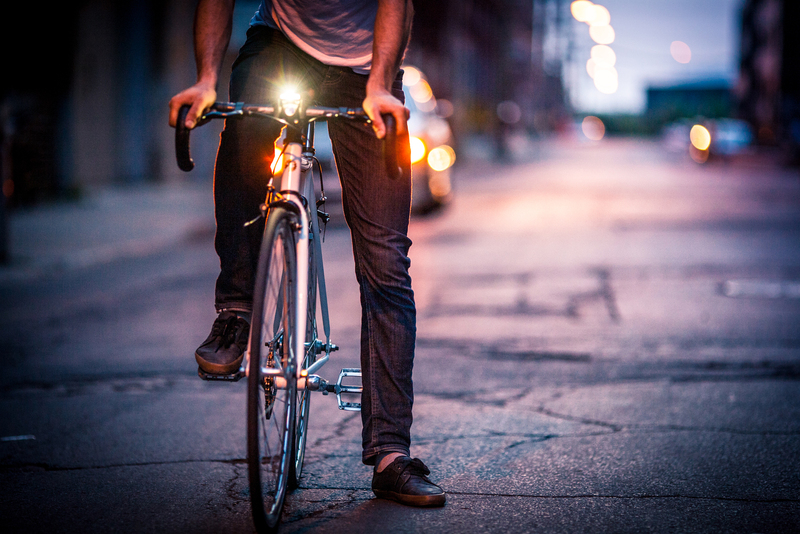 The circular light on SmartHalo intuitively directs bikers as to what direction they should turn at an intersection by lighting up on that part of the circle (Image courtesy of SmartHalo). This entry was posted in In The News and tagged bicycle, bicycling, cities, cycling, gps, navigation, smart biking, smart cities, smarthalo, urban biking, urban transport on September 18, 2017 by Drew Bush.